Dazed and confused we are with all the transfer shenanigans and the potential mind-blowing formation and starting eleven opportunities these will give us, if indeed all will go to plan. 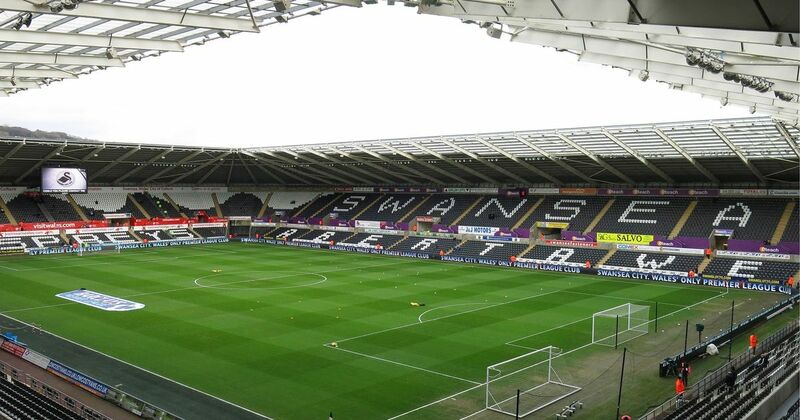 But we have another crucial game tonight at the Liberty stadium (on Arsenal.com it is currently called the ‘Library’ stadium hahaha). With Pool away to Huddersfield tonight and the utterly mashable Spuddies playing MU tomorrow, Arsenal have a great opportunity to further close the gap with our fellow top-four contenders. All we can do is focus on our own game, and we need to try and win tonight at all cost. Simples. After great, gutsy performances against Palace and the Chavs at the home of football, the Gunners now need to replicate these away from home, starting at the Liberty stadium this evening. Wenger can pick from a deep squad – only Welbeck is a doubt and Santi is of course still out – but, as the first eleven from our League Cup victory over our West-London neighbours all have had a very decent rest, it is unlikely that he will make many changes, if any. It would be good to see Elneny tried as our deepest midfielder once more. Jack and Xhaka, however, need to not leave him too isolated by pushing forward too aggressively. This will be key to us playing solidly and with the right intensity, tonight. Jack and Xhaka will be tempted to join the fabulous attacking force of Ozil, Laca and most likely Henrikh (who I expect to start instead of Iwobi). This is absolutely fine as long as one of them stays close to Elneny and help him protect the defence if and when the opposition break or start an attack from midfield. I hope they have all learned from the Chavs’ opening half hour, in that respect. The back four is hopefully a continuation from last two games: Bel – Koz – Must – Nacho; and I hope we will not revert back to three at the back. In goal we should see Mr Safe Hands, Petr. Of course Wenger may surprise us all with a different formation and first eleven, but with a bit of hope the above will be it. I am very jealous of those who can watch this game live, at the ground, or at home. Us poor UK residents will have to do with radio commentary. Luckily, Arsenal.com do a sterling job in covering the game live with great, in-depth commentary. Come On You Rip Roaring Post-Sanchez-Passion-for-the-Shirt Gunners!!! Hi TA.. I predict you get 11/11 right tonight.. Hehehe..
We ain’t no Pool.. We will win..
And We will win in a great way.. Gunners way.. Hehehe..
Must say sorry for you TA.. There will be live here.. With Bein Sport 3 at. 2.45 in the morning.. Indonesian time.. Hehehe.. Passed on Bein Sports in my monthly cable setup– but can watch NBC Gold online– live stream, no pausing. 1:45pm start here. NBC is showing Town vs Pool. Two teams in poor form ATM. Two weeks ago Pool was ‘hot’. Today, ‘not’. You look good for 11/11. There is a chance Ramsey would show up for Xhaka. Wenger might see a need for that sudden extra presence in the box that Ramsey gives considering that Swansea might set up in a 5:4:1 as they did against Liverpool. I’m hearing that Aubameyang is having a medical at London Colney. Per the agent of former Rovers CF Anthony Modeste (wanting a way back from China)– Dortmund is considering that possibility. Modeste worked with BVB manager Peter Stoger at Koln 2016/17– netting 25 in 34. Would love to stick it to Conte here– as he’s trying to stick us. Reuniting Auba with Henrikh in the prime of their football careers is just such a clever plan. Jack, Mesut and AlexL to work with them to start playing football the Arsenal way. But TA.. Giroud need time to play..
Will he watch our game tonight..?? How far is Swansea city from London..?? Yeah yeah, Giroud needs to play but he will in Europe and as supersub. We need a supersub. With all the competition for the France CF role…. Ollie may be best to aim for the supersub role in the national team too…. Sounds like it could well happen…. Independent states Giroud named in squad today vs Swansea too. EPL site shows Iwobi– not Mkhitaryan starting at wing. Had a suspicion Wenger might do just this. Interesting tidbit where Gunners hold the hole card in this 3-way hand of poker. Bundesliga transfer window closes 6 hours earlier tomorrow– than the PL’s does. OK in the UK we he have Huddersfield V Liverpool on the TV and Swansea v Arsenal on Arsenal Player. About to ask the wife if I can watch the footy on TV, whilst listening to Arsenal player. If no word by half time, send out the murder detectives. Nice comments all round, folks. It’s been so busy for me last three days. Great posts too, PE, TA…. Looks like typical Welsh weather tonight. Let’s hope we see a good game on the slippery looking surface. TA.. Only 9 from 11.. Not bad..
Hope Jack will be just fine..
Lucky on us.. Thanks to Ramsey.. Exact same game plan as used against Liverpool. Ramsey just saved us a certain goal against us after a great move by the hosts. They have been having the better opportunities as we retain possession and pass it about. I think we need to get ourselves warmed to the circumstances and start to play incisively. We can lure them into being a bit more expansive and to be less defensive. Maybe, we can make hay in such circumstances. We look like we will miss Jack tonight. Ramsey is bound to be rusty. The rain make our team look avarage..
Another almost goal.. A second late the kick will make us suffer a penalty.. The rain should affect Swansea the same. We are allowing them grow in confidence. We are happy to keep the ball and go backwards and whenever the Swans have the ball, you can see greater intent to hurt. That was a brilliant tackle by Elneny. Second clear run on goal that has required last ditch defending from us. Ki, their Korean, is a very intelligent player and we have to be wary of his decision making, which are usually precise. ….is usually precise, should I say. The 50-50s are also falling for them. Obviously, we will need to be very patient tonight. Lacazette was easily beaten in a foot race that would have put him through on goal. JW, it’s looking like Giroud to the Chavs for £18m mate. I’m not happy about it as they’re competitors for a top four place, but sometimes you have to give something to gain something. And tbf to him, he needs to play to ensure he stays in the France team. He’s done well for us so we’ve gotta do well by him. It’s Petr Cech revisited I guess. Another great save from Elneny..
Naaaachoooooo! He does it again. Great spot by Ozil. A cool assist from Ozil..
We had that coming. We are probably the only top team that gets so easily opened up after scoring. Look at how we seemed to part ways for Clukas to come through, giving Cech no chance. Kev: “He’s done well for us so we’ve gotta do well by him. It’s Petr Cech revisited I guess”. My thoughts exactly, Kev. By not being bullish about the fee, we give him the chance to up his wages as well. Ozil is rarely dispossessed like he was. Yes Eris.. Just as Hazzard goal..
Mustafi did nothing to canceled that goal..
Leroy Ferncould have just given that to Ayew and it would likely have been 2-1 Swansea. This team has grown in confidence since beating Liverpool and that’s the only explanation for how hard we are making this look. That’s right Eris, I know that some Gooners have mentioned Demba Ba and how we were stitched up – or allowed ourselves to be stitched up, but that was Mourinho and he’s just a toss pot. Anyway nothing on the radio as usual so keep those Arsenal goals rolling in fellas. Kev, sometimes, it is a painful watch for one of an Arsenal persuasion. We seem to be waiting for some spark from somewhere. It is a patient game we are playing but we keep getting mugged with counter attacks. Lacazette has got to be doing better than he’s doing, for me. Maybe the conditions but he isn’t giving that back line too much to worry about. Iwobi has not played like a man who knows his shirt is at stake and has opened the door for Mhki to just waltz in. Maybe, that’s the spark the players seem to await? Nasty conditions like these tonight require mental toughness. Would not be surprised to see Wenger make the Elneny-to-CB tweak again. Another body back there wouldn’t be a bad idea. I think Mhiki must come to subs Xhaka.. Sorry for my mistake about Mustafi.. It was Xhaka who did nothing for our conceded goal.. Cheers Eris, do you think we miss Wilshere? Martinez to Leeds looks a good move if it comes off. No developments in Debuchy leaving, seems as if he’s gonna see out the season. It’s a tough away game. We shouldn’t be influenced by their league position. They have been brought into shape by the sounds of it and their confidence reflects that. And I think we need our handsome guys Giroud to help the game.. Interesting to see Liverpool dropping their £75m Centre-Half. Liverpool up by 2-0 at Huddersfield. Swansea are a side fighting for their lives and the tactics against Liverpool was a test run and tonight, they are a lot more comfortable at it. If Mhki has to come on, it should be for Ramsey; I ca; understand the sentiments playing in front of his Welsh crowd and all, but he is lacking sharpness and has conceded the ball a couple of times. Bellerin does nothing but give the ball backwards; plays it safe too many times, where a forward pass could see us inside. We keep movin*nthe ball from side to side and we may create that chance for the goal, but unless we show fight to hold on to a lead, it may be futile. It will be a tough one tonight but not impossible. Bellerin crosses low and hard but Lacazette was not on hand to pounce. Elneny booked for deliberate handball but not even sure he should have been booked. The Swansea fans want more than the yellow; not sure why. I’ve been to Swansea, Eris, they’re a miserable bunch of wankers. Ozil fires away at Fabianski but the keeper was behind that all the way. At the other hand Nathan Dyer crosses and Cech gathers. Mkhi getting ready to join the fray. Well, it is Elneny coming off for Mkhitaryan. Purely tactical, if you ask me. I would not take off Elneny as he’s been key to making our game tick over. Cech makes a horrible error, to give Ayew a free pass into goal. 2-1 Swansea. Monreal has taken a throw to Mustafi in our half, Mustafi passed back to Cech who was closed down by 2 opposing players; he still could have cleared but mis-cued his kick out and gifted the ball to Ayew, the closest player closing him down. That was a poor sequence of play by us, but Cech should be doing better. Time for a test of our spirit. Come on boys. Yes Eris.. The only reasonable reason for Elneny is his yellow card..
Will we risk bringing Giroud on with all the transfer speculation surrounding him? Looks like a night where we get caught out on the counter as we go for it. Our performance has not deserved a win, so far, to be honest. We have and keep the ball well, but nothing incisive. Bellerin gets booked for a foul and the hosts make ready a free kick. This is a game for 9livier Giroud’s skill set. Fabianski must be enjoying this result. Since leaving us, he’s won a couple of games against us. Dyer has just missed a sitter. It should be game over (should have been a while back, really). We just lack urgency. Fans singing Giroud’s name. Mustafi almost make us suffer another unnecessary goal.. It will be telling if we don’t bring Giroud on now as we clearly need him on the pitch. If he doesn’t play then we can safely assume he is gone. We are being out muscled at times. Mkhi has a free header but heads straight at Fabianski, but he was offside, anyway. Giroud ready to come on. Giroud on. Interesting. I hope he both scores and stays. Hope it isn’t too little too late for Giroud to save us….again. His first act is to lay off for Lacazette but he was comin* from offside position. Mkhi drives one across but no one to take advantage. Normally, Giroud will be there but maybe, still learning his game. We are starting to press from our left side. A one-two move with Mkhi sees him fire one across but blocked. Another move sees Fabianski come out to hold. The home fans trying to unnerve Cech when he has the ball. With Giroud on, we are starting to cross a few balls in and troubling them. Giroud’s hold up play helping to play in likes of Ramsey and Lacazette. 86th minute. Still haven’t troubled Fabianski enough. Swansea have done well to beat Liverpool and now Arsenal. 3-1. Some more silly defending. Ayew has been a thorn in the flesh for us here. Thumbs up to the new manager at Swansea to bring the motivation back here. Clucas has been the only one alert in the box, as the ball bounced dangerously about. He latched on to it and Cech stood no chance. We are playing as a team but lacked bite without the inventiveness of and risk taking of Sanchez. They’ve forced us back a lot of times and we have obliged, to the delight of the home side. All I can say is well done, Swansea. I am not sure how we conduct training for defenders but we can be tentative at times, like each defender expecting the other to do a job, only to muddle things up and make errors that are inexplicable. That’s two big teams’ scalps in a row. The story will be about how Mkhitaryan has had a losing debut. Do we really have to let Giroud go, on the strength of this outcome? We only started to look dangerous when he came on. Maybe, he will want to get out of the club now, anyway, as we hear that a few has been agreed. Eris.. We missed Kolasinac also.. If Wenger bring him in for our third change.. Maybe we can do something..
What a bad start for Mhiki.. And Farewell for Giroud.. What a bad night..
Have to say I agree with you, AB. We have been poor defensively. We always looked like making an error everytime we were under any pressure. Cech (for all his talk in the week) should be taking a long hard look at himself now. Maybe, that deal for David Luiz isn’t such a bad thing. Props to you Eris for the live-blog. That was painful enough to watch, much less describing it in real-time. Swansea were inspired. They know just what is at stake for them. Carvalhal is earning his keep. Those conditions? Same for both teams. But Swansea showed more energy. That is a very disappointing outcome but one we need to take on the chin. We need to settle the squad with completing all the TW stuff. Not seen the game but I bet we missed Jack today. We got used to him supplying the attackers with good balls and incisive runs that makes things happen. It is so typically Arsenal to suffer a setback once a key player does not play. It is now about bouncing back this weekend. Was thinking same re: Luiz. Had to come back after watching that Cech error for their 2nd goal again and have got to say it is hard to blame him. You’d think that Mustafi should know better than pass back to his keeper in such conditions, and with opposition players bearing down on him. If such miskicks are condoned when they happen to strikers, why not with a keeper? The pundits are all rubbing their hands with glee at our loss (a few taking credit for predicting correctly) with Owen suggesting we are not as good as most people think. In his view, we have been living on our past reputation as perrenial title challengers and once middle table teams have us Sussex out, we will start to lose more games at smaller sides. That’s an iffy decision by Mustafi on a clear day. Does seem as if Arsenal get punished after an error– more often than other clubs. Overconfidence? Surely, not after having been given prior warning with the Liverpool result at Swansea. Wanted to see the highlights, but i do not want to make my day bad looking at it. We had been like this for the whole season and only a better defensive leader can help us out of it. At times our mistakes were not punished due to the poor finishing of the opposition, but we were not playing CryPal for every game for goodness sake. We need the quick turnover skills of Jacko and it was a letdown by the whole team. Yep, I think that Cech could have done better for the first goal. I blame Mustafi for the 2nd, dozy git. The 3rd was a collective shambles. Apparently Steve Bould wanted to take some of the players for extra defensive training recently but Wenger and Primorac wouldn’t allow it. Why? Arsenal have now conceded more goals than Leicester, Burnley, Brighton and even West Brom! I would have imagined that extra defensive training is essential. Defensively, aside from Hector? We are not a fast group. In conditions like last night’s, it just makes slow even slower. Kos HAS lost half-a-step. Even Nacho The Great had the corner turned on him by Ayew on the goal line. Mustafi gets a bit wander-y for a CB. We got burned by one mental and two physical errors. Not excusing, nor making excuses. But there have been probably a dozen critical slips by our players this season. In the absolute worst moments. Apologies but every so often I need to rant. I listened on the radio and was bored and half expecting what happened last night. Every time we lose, Stoke, Bournemouth, forest, Watford, we try to re-create our team and say how good they are. We have quite rightly said we shouldn’t pick on individuals, but to be frank some of them shouldn’t be wearing the great red and white let alone the hideous blue. Zhaka whilst he can play a fantastic pass on occasions, he is also very sloppy. I can think of at least five or six goals we have conceded because of him. He has apparently one of the worst passing success rates in the premiership. They said on the radio last night he was ponderously slow. Whether he is better in an attacking role remains to be seen, but get him out of our defence..
Rambo when flying is great, but he is no defensive midfielder either. iwobi frankly has been poor lately. But he is just a lad and deserves better treatment by Wenger. In the past young players were protected by their managers. These days it seems to be throw them to the lions. Lacazette. People said he was better in the last few games, but he looks lost to me. Whether this down to lack of service I don’t know. I don’t see any advantages of playing him ahead of a fit Giroud. Bellerin, still doesn’t look right to me. His crossing is poor at best. But once again maybe he deserves better from the manager. What is the point in spending a fortune on strikers if we can’t defend against the likes of Swansea and Bournemouth? Mustaphi runs hot and cold and as someone pointed out earlier Kos has maybe lost half a years. 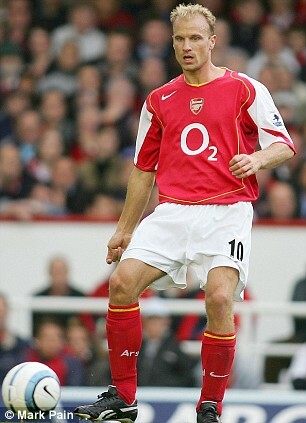 Lastly please Mr Wenger you have been great, but it’s time for a change. If he went now he would always have mine and many others support and affection. However he is getting dangerously close to losing credibility. On the plus side, thank god for Nacho and Elneny who puts his heart into his game. Probably our best option in defensive midfield at the moment. Retsub1, you stole my rant mate. Wenger sees the opposite of what is actually happening. Iwobi is not what Wenger thought he was and he will never be the best no matter how hard he try. We need someone that creates from the back, and that is none other than our new midfield signing. If you do not start him then why do you buy him for? Arsenal.com has confirmed Aubameyang is a Gunners.. Welcome.. I know it’s almost afternoon GMT. But here it’s 5:45am. We all like the Manager because we all like this decent man. But. Like myself at times? That man does ‘like a project’. Meaning? Tinkering. With something he knows will work. If he can just get it right. And sometimes it’s so, so close. For a time it feels like he’s done it. And he tinkers again. And overthinks it. And inserts a different part. And we get: “Stoke, Bournemouth, forest, Watford…” and now Swansea. Sometimes you can thread the needle. But you can’t do it all the time. Sometimes magic happens. Rarely can it be recreated. So I’ll take the pragmatic view through season’s end. I was willing to do that already. The club have begun to retool in mid-season. Did anybody else see it coming? It would take a reputable CB or DM walking into the club today– before deadline– to change my expectations. Jw1, just take it that Mkhi is a DM. Alongside Elneny. We cannot mix and match Ozil, Mkhi, Auba and Lacazette with the rest of the team. We have to play them together. Also feel you have to have Wilshere in that group.